It would be a massive understatement to say that the ​Jacksonville Jaguars have an issue at running back. Second-year star Leonard Fournette simply cannot get healthy as he deals with a hamstring issue that already has already ruled him out for this Sunday's game. Beside their No. 1 guy, depth runner Corey Grant will now be out for the remainder of the season with a foot injury. With seemingly everyone in the running back room down and out besides T.J. Yeldon, the Jags are reportedly looking towards a familiar face to help fill their depth chart. 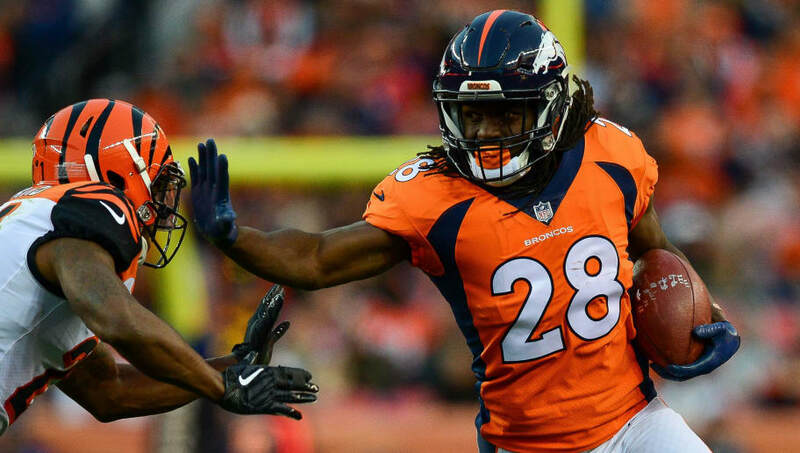 Jamaal Charles will be working out with the Jags on Tuesday, according to reports. The former Chief and Bronco last played in a backup role for Denver in 2017 and played decently. On 4.3 yards per carry, Charles piled up 296 yards and a score. His last season as a starter was back in 2014 when he recorded over 1,000 yards and nine TDs. Charles is a four-time Pro Bowler who was one of the most electrifying backs in the NFL during his prime. While the 31-year old is a good few years removed from feature back status, his presence as a backup could surely be useful to a team dying for warm bodies to round out the ranks. No matter the signing, Yeldon will likely retain his role as the interim starter while Fournette is out. Jacksonville fell to 3-2 this Sunday after falling to the undefeated Kansas City Chiefs, and while it's not quite yet panic time for the team, some reinforcements are certainly needed with arguably their best offensive player out.